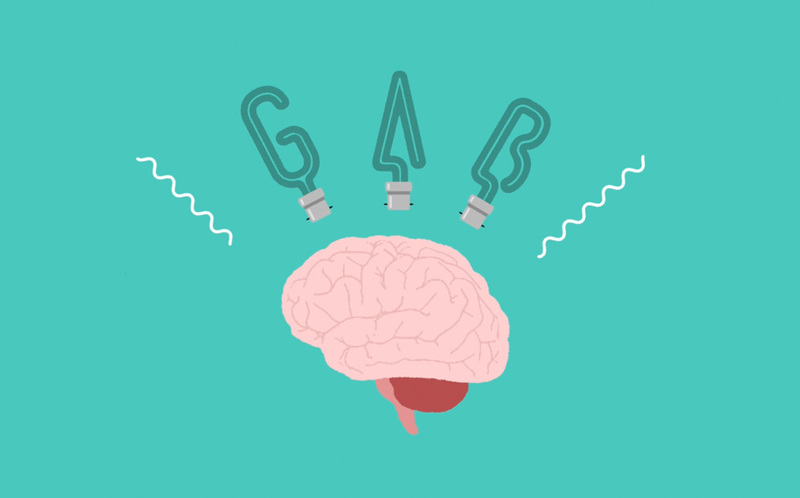 Smaller ensembles often evolve into a leader and a few afterthoughts filling in the necessary harmonic void. “What we have here is a failure to communicate” good movie but that certainly does not apply to the soulful swing of the musical conversation known as A Meeting Of Minds from Sheryl Bailey. Organ trios can and to a degree have become cliché after having been forced into the jazz witness protection program thanks to the increasing popularity of fusion starting in the mid 70′s. A Meeting Of Minds welcomes you back to the land of rhythm and groove with a swing and a swagger for modern times. What separates Sheryl Bailey and this formidable trio from the rest of their contemporaries is the ability to ride the groove while never getting in each others way. Drummer Ian Froman is far more than a human metronome as he rides on top of groove and lays down a deft touch of lyrical finesse that both organist Ron Oswanski and guitarist Sheyl Bailey embrace with enthusiasm. 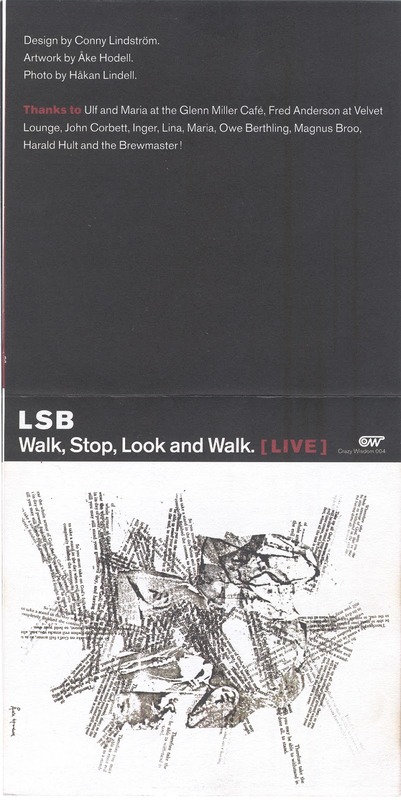 Bailey and Oswanski are burners in every sense of the word but their hook is that they use a more zen like approach never wearing out their improvisational welcome as the harmonic conversation moves full circle. Bailey’s sound on guitar might be best described as Kenny Burrell meets Pat Martino but done the Bailey way! Three artists performing with one voice is a rare trick to pull off but this trio makes it look easy. 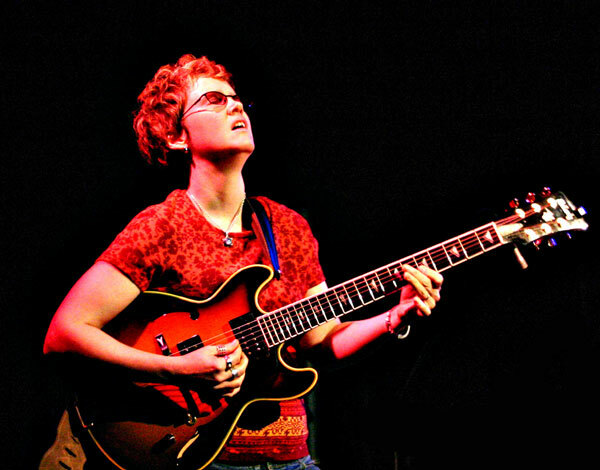 Eleven of the twelve tunes are originals from Bailey demonstrating her talent can go far beyond the fret board as she creates music with muscle. “Unity” is a Bailey original with a slight ambient contemporary vibe while “Cactus” is an old school burner with no quarter given. Organ trios are on the rise again. 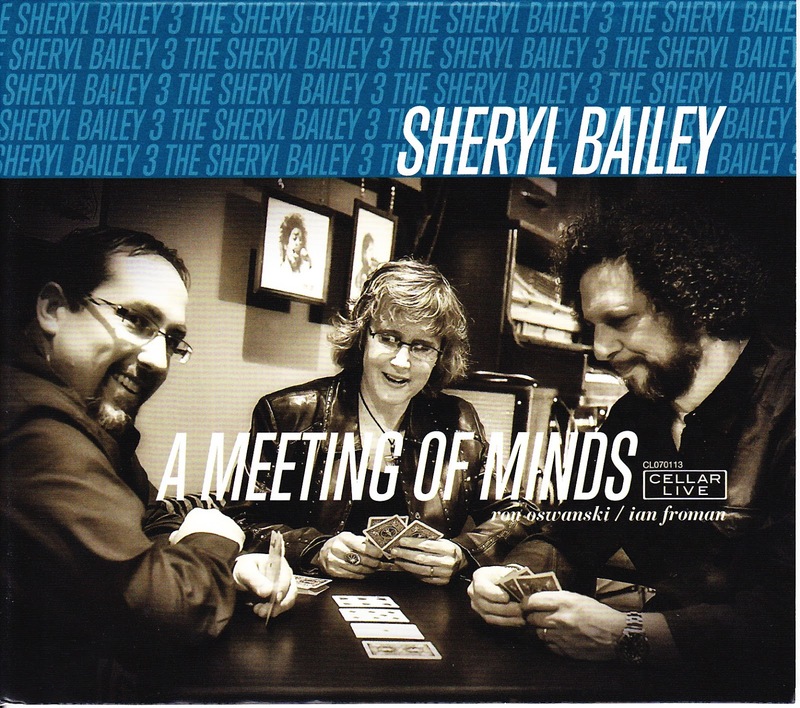 Sheryl Bailey and A Meeting Of Minds avoids some of the pitfalls that similar artists seem to invariably find. Here we have solid original compositions, no lounge lizard inspired covers, and three artists whose chemistry is simply off the charts. Negatives? How about too short? The Teatro Morlacchi, in the Italian hill town of Perugia, has the stature and complexion of a dowager queen: classically proportioned, resplendent in red and gold, with four tiers of opera boxes hugging the curved walls – still regal, only slightly faded. That’s understandable. 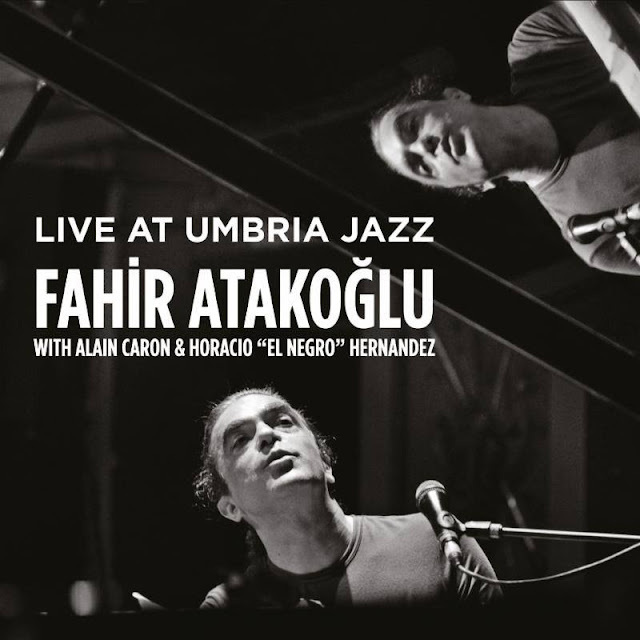 Although it has received several facelifts and one extensive remodeling, it opened in the summer of 1781 – making it nearly 230 years old when Fahir Atakoğlu brought his trio to perform there, as part of the 2010 Umbria Jazz Festival. Contradictions abound. 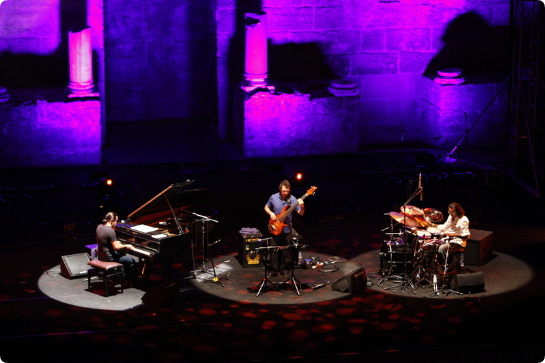 The Morlacchi, which stands on the site of an ancient convent, was built to host Baroque music and 19th-century opera; Atakoğlu’s music belongs firmly to the modern age, revitalizing the energetic fusion jazz of the 1970s – originally the province of electric keyboards – via the pianoforte. The Morlacchi witnessed the full flowering of European polyphony; the Turkish-born Atakoğlu comes from a musical tradition rooted in monophony (the unadorned melodic line). And while Italy remains in many ways a cosseted culture, protectively guarding its homegrown arts, Atakoğlu has worked to blend his own native music with sounds from the wider world, incorporating Cuban rhythms, Middle Eastern melodies, and improvisation as perfected by American jazz artists. “I grew up in a country where people are born into monophony,” Atakoğlu explains. “But we as Turks combine it with the polyphony used throughout the world. And I always wanted to play with musicians from different countries, to hear their approach.” In fact, the success of Atakoğlu’s music stems largely from this generosity of spirit. 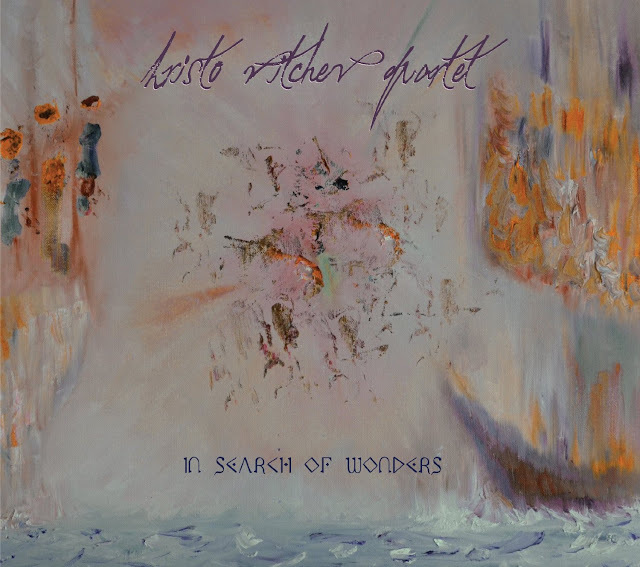 “A lot of my compositions have Turkish origins and tempos; it just comes naturally. But I always want the people I play with to come up with their own ideas, their own interpretations; I don’t want them to play these songs like Turkish musicians would. In this way, we can meet each other musically. 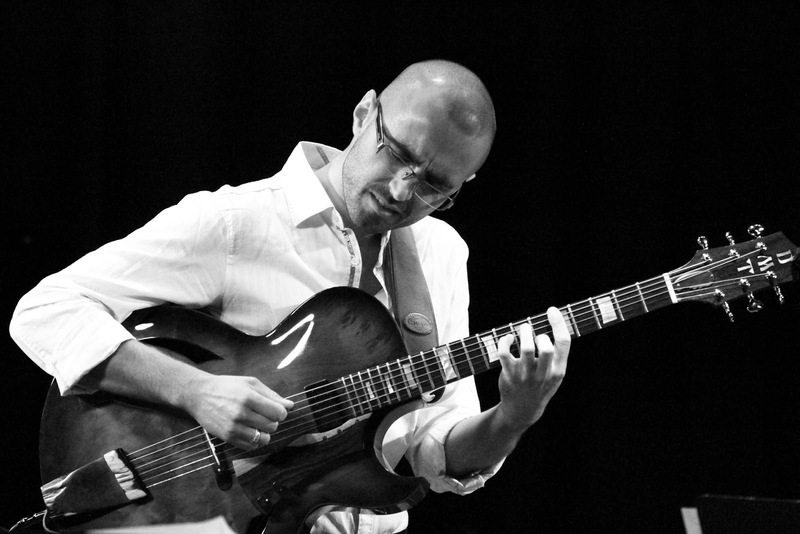 The highly anticipated double album by the impressionistic Hristo Vitchev Quartet marks the 7th release as a leader for the internationally acclaimed guitarist. The new compositions and sonic textures explored here, catalog the evolution of this award winning group over the last decade, and present a sound and style that is completely unique and truly identifiable with the quartet. 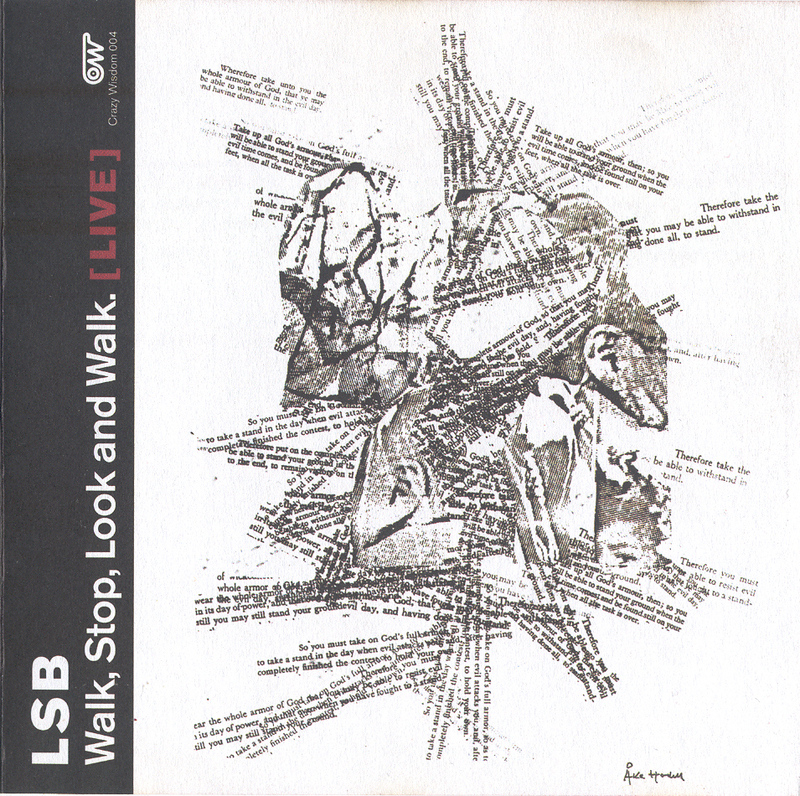 For the recording of this project the group decided to first take the music on the road all around the world, and let each piece evolve night after night, letting it settle naturally and effortlessly into its final shape and place, which you can now experience on this marvelous release. Jazz has a long history of interpreting music from the American songbook. Latin America has just as lofty a collection, many compositions stemming from the tremendous Mexican composer Armando Manzanero. 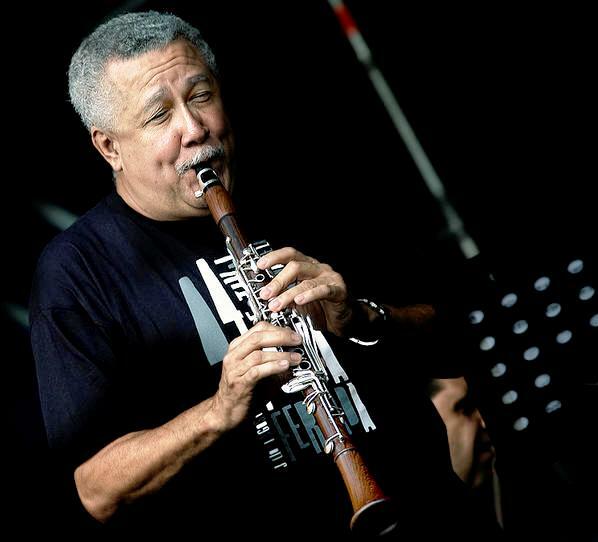 On his latest recording, Paquito & Manzanero, the great woodwind master Paquito D’Rivera illuminates the incredible work of Manzanero in Paquito’s favored idiom, Latin jazz. 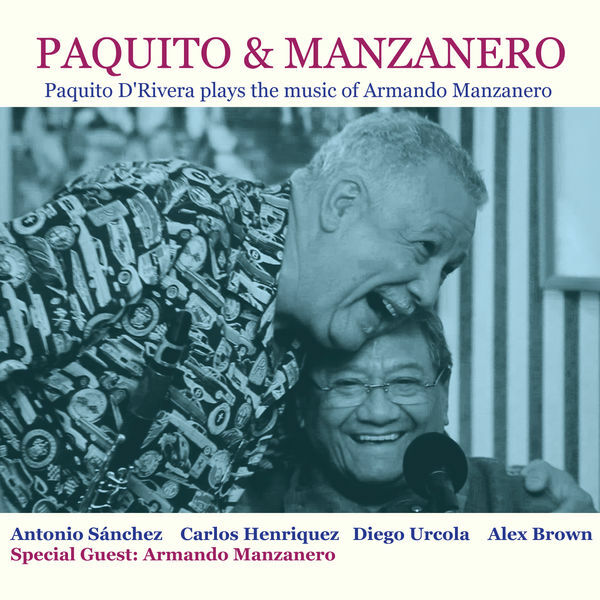 Along with his fantastic ensemble, featuring members like trumpeter Diego Urcola, drummer Antonio Sanchez and the Manzanero himself, on vocals, D’Rivera shows why Manzanero has been celebrated across the globe, by artists as diverse as Elvis Presley and Tony Bennett. The jazz piano trio comes in a wide spectrum of approaches, from the traditional—Red Garland, Tommy Flanagan—to the way out there avant-garde, like Cecil Taylor. When the subject of "Cuban pianists" comes up, some of the first names that come to mind are probably those who work in a traditional vein: Chucho Valdes, perhaps, or maybe Gonzalo Rubalcaba, both of whom work the percolating beauty of Latin rhythms to the hilt. 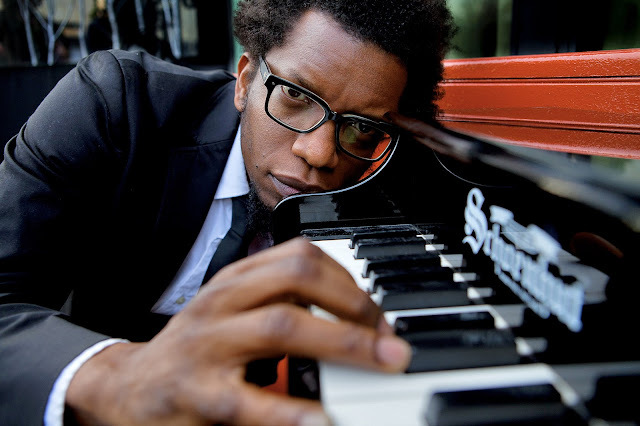 Aruan Ortiz—Cuban-born and now New York-based (after a stint in Madrid) pianist—leans away from the traditional end of the spectrum, in both classic jazz terms and the Latin approach. 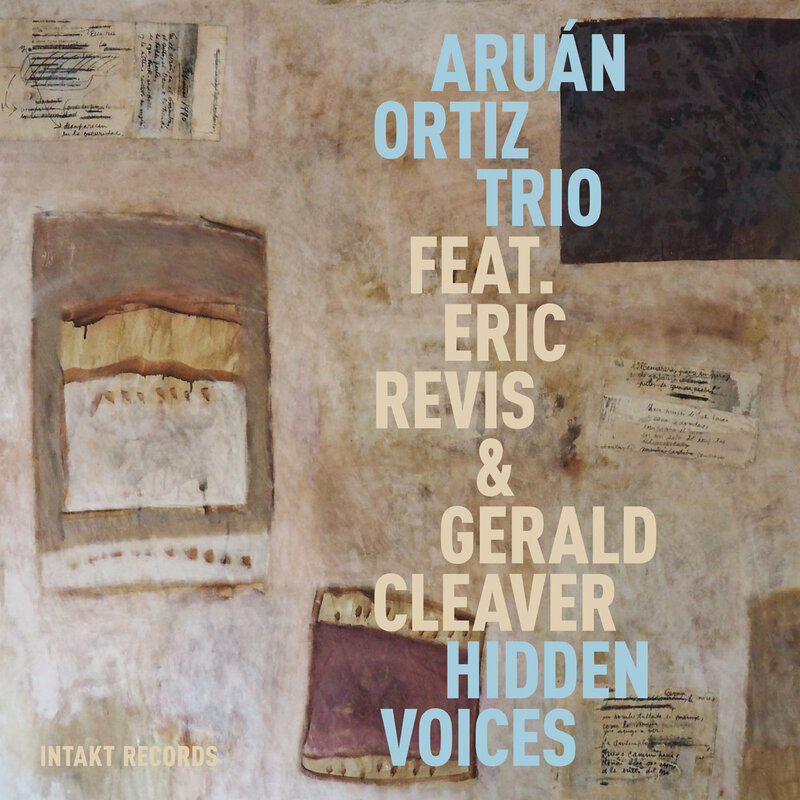 On Hidden Voices he teams up with bassist Eric Revis and drummer Gerald Cleaver, who are well versed in the avant-garde. The resulting music says that Ortiz has found two excellent compadres. There's no doubt that these are improvisation heavy workouts. Latin grooves bubble covertly, and Ornette Coleman ("Open & Close/The Sphinx") and Thelonious Monk ("Skippy") are brilliantly covered—though the brilliance is of a dark and brooding hue. Oritz penned seven of the ten tunes. Tracing a finger along the piano trio spectrum, you'd slide past the traditionalists, beyond the edgy-but-still traditional guys and into Andrew Hill territory. Hill, with a series of brilliant Blue Note Records releases in the sixties, earned a reputation as an uncompromising individualist, rooted in tradition, but with branches that reached out into the deep blue sky where few of his contemporaries followed. 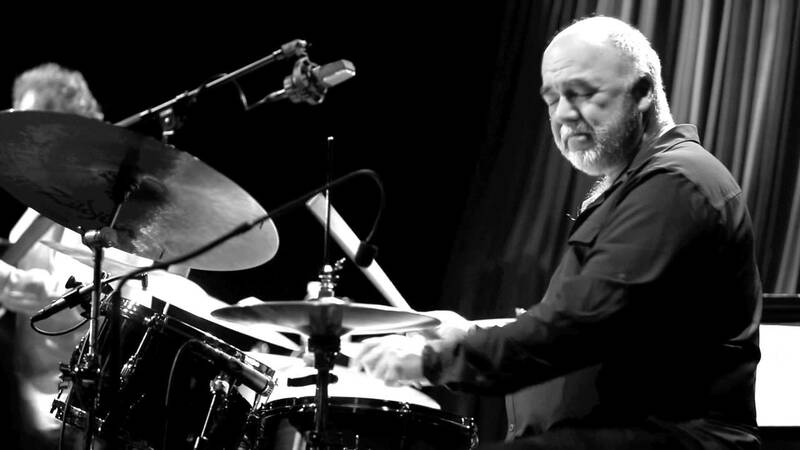 As an educator in addition to long being one of the most advanced musicians in and out of jazz, Peter Erskine’s proficiency on drums is inarguably at the doctorate level. Belatedly taking up a quarter-century old suggestion from an old friend, Erskine created a ‘new’ persona of himself as the PhD-accredited linchpin for his newest album Dr. Um, out January 15, 2016 through Erskine’s own Fuzzy Music imprint. 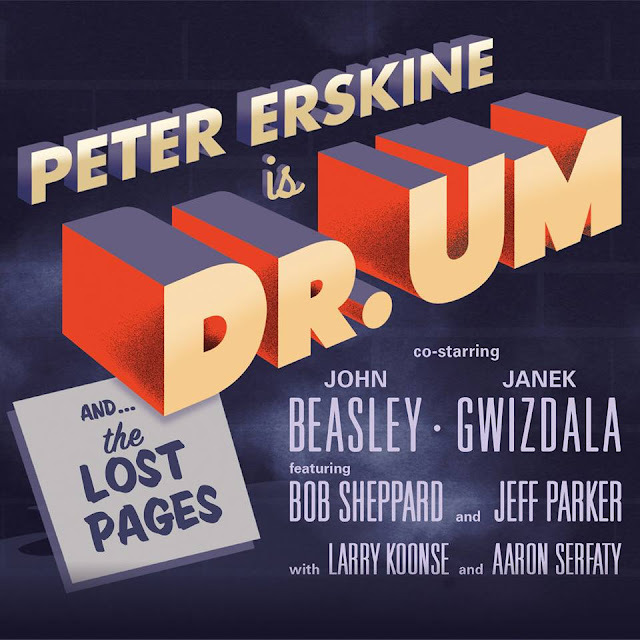 This new persona is really the old Peter Erskine that fusion fans were attracted to from his days in Weather Report and Steps Ahead, two of the genre’s most advanced outfits. 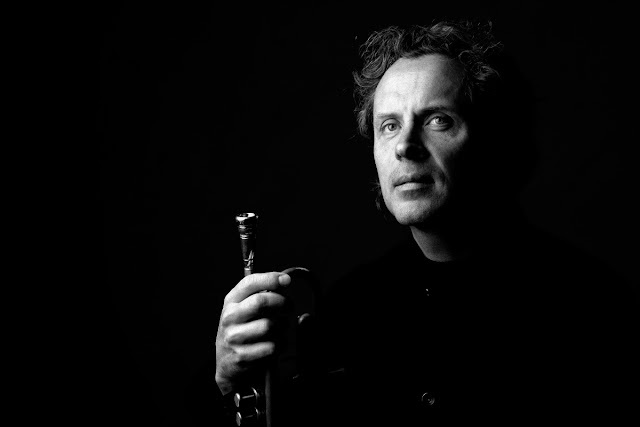 But since then, Erskine’s exploits have been predominantly on the straight ahead and egghead side of jazz (he had become a regular on ECM both as a leader and a sideman) while continuing to participate in high-profile studio dates with the likes of Barbra Streisand, Kate Bush and Michael Bublé. With Dr. Um returns to his RnB and rock-jazz drumming that dominated his mindset for much of the 70s and 80s. 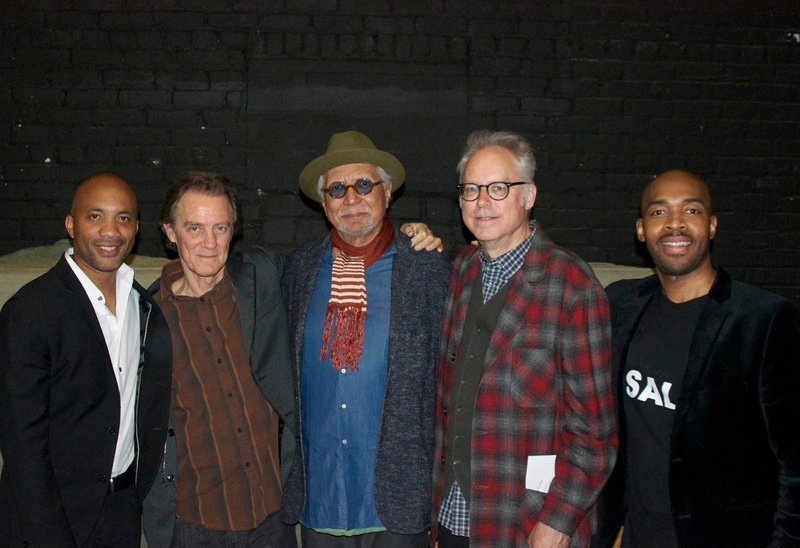 From 1978 to 1982, Erskine was in Weather Report, alongside bass legend Jaco Pastorius and of course the mainstays Joe Zawinul and Wayne Shorter, the most celebrated configuration of this constantly evolving group. About half of the tracks on Dr. Um consciously conjure up the spirit of that band at that time, in a way only someone on the inside could do it. Much as original WR bassist Miroslav Vitous demonstrated what Version One of the band was about with remembering Weather Report , Erskine does his own remembering from a different phase, one where gurgling Wurlitzers, dense Third World rhythms and funky bass lines peacefully co-existed with the exuberant swing of classic jazz. Indeed, “Hawaii Bathing Suit” is a lesson on how to making electric jazz swing like its 1949. Saxophonist Bob Sheppard and keyboard player (and co-producer with Erskine) John Beasley turn in strong solos amid Erskine’s boss pulse, especially during Sheppard’s Michael Brecker influenced tenor sax break. Sheppard leaves behind Shorter-like quips for “Lost Page” over a very smooth and slinky groove. A Weather Report cover comes from the 1982 self-titled album, the last one featuring Erskine: “Speechless” is one of Zawinul’s sensitive ballads, and bassist Janek Gwizdala projects the soulfully melancholy of Pastorius’ original lead part. Stripped of Zawinul’s lush synth harmonics, the band (with Beasley on piano and organ instead) exposes the beauty at the kernel of the song. “Bourges Buenos Aires” is a Zawinul song that gestated during Erskine’s time with him; a well-written melody with a vocal-like synth line as the lead voice and comped with an oscillating electric piano, it’s got a dead-on 1978 vibe. 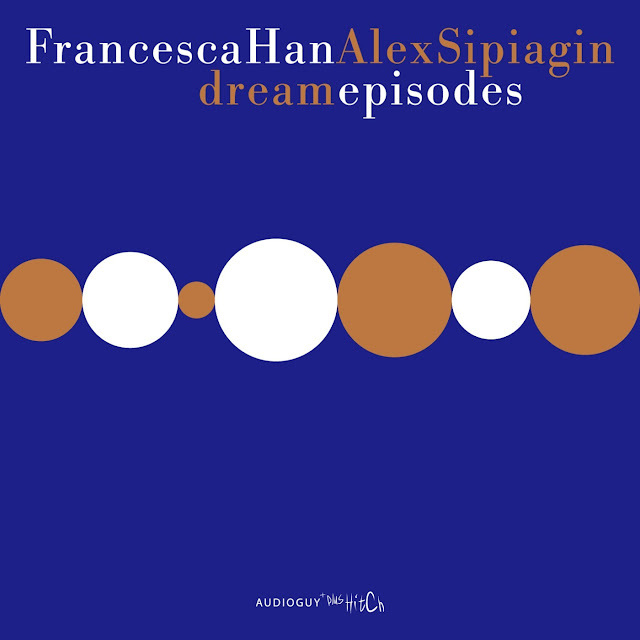 But Erskine dives into other areas of fun jazz, like the intimate Hammond B3 organ trio excursion with Beasley and Sheppard for the soul-jazz delight “Okraphilia,” or the Crusader’s hard type of soul found on “Sage Hands” featuring tasty guitar handiwork from Jeff Parker. Larry Koonse is the guitarist on hand for the West Coast adaptation of Vince Mendoza’s “Sprite,” and Koonse works well in tandem with Beasley’s lissome piano. Erskine himself is mostly content to lead from behind, but makes his rare spotlights memorable, especially during “Northern Cross,” where he adds discriminating accents to his shuffle, choosing the veteran’s path of being gently commanding instead of overly dominant. One must quickly admit that our knowledge of the rich Jazz scene in Israel is still in the beginning stages. Names like Avishai Cohen or Gilad Atzmon have been instilled in the minds of listeners for years in this country, yet behind these internationally celebrated artists lurk new discoveries. Just how many is not known at the moment. 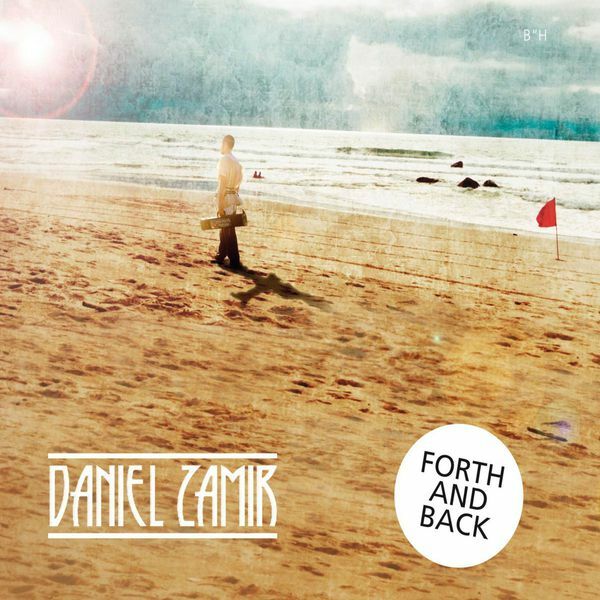 The 35-year-old saxophonist and composer, Daniel Zamir, has left behind this realm of the unknown. Over the past decade, he has become one of the most important virtuosos in Israel. With his 11th CD release, yet his first with a German label, comes the opportunity to get to know the man from Petah Tikva, one of the most amazing representatives of Jewish Jazz. After completing his studies at the prestigious Thelma Yellin-School of Arts, Daniel Zamir headed off to New York for his coming-of-age years. While there he graduated from the New School in 2002. In this foreign land, he developed an increased interest for Jewish Hasidic traditions and the sounds from the Balkans. 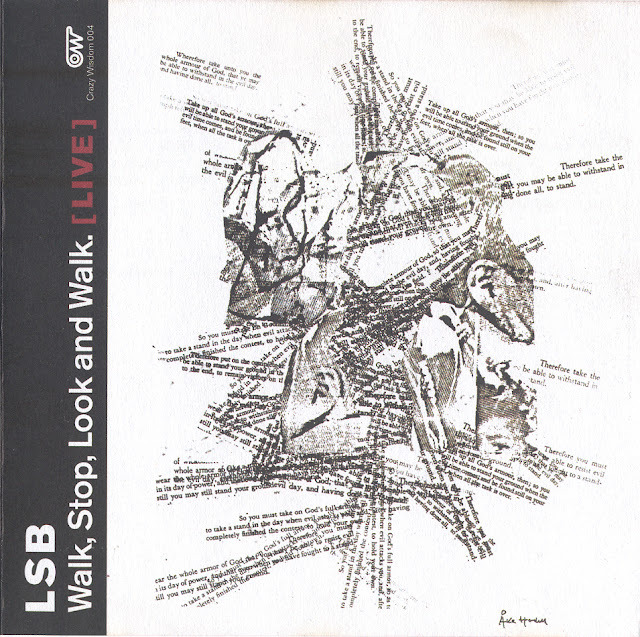 Here he is discovered by John Zorn, the “enfant terrible” of the New Yorker Jewish scene, and records with his band 3-studio and 1-live CD (2000-2007) for his label Tzadik. The most outstanding amongst these released works, is Children of Israel, arrangements about Israeli traditions in Jazz vocabulary, and on which not only Zorn cooperated, but also prominent guests such as Ned Rothenburg, Greg Cohen and Uri Caine. In 2004 Daniel Zamir decided to return to Israel. It is here that he begins to collaborate with luminaries such as the bassist Omer Avital, drummer Daniel Friedman and pianist Omri Mor. The prelude to this new phase of his career, characterized by Jewish-Orthodox spirituality, is the 2006 production of Amen. This album advanced to the best-selling Jazz album of all time in Israel. His alliances crossed the boundaries of Jazz: Zamir’s stage and studio partners are also from the Rock and Pop sector. His collaboration with the Reggae star Matisyahu, who was also his guide on his spiritual journey, counts as one of his most prominent links, along with his participation in Sting’s Israel tour in 2006. Zamir, whose name appropriately means “song-maker”, continues to take an unusual path: and so in 2010 he records Israel’s National Anthem, Hatikva. In 2010 he is presented with the Prime Minister Award. Never before has an artist of his age won this renowned prize. At the end of 2014 he goes on stage in Jerusalem and Tel Aviv, with the greats from Israel’s Pop scene like Eviatar Banai and Berri Sakharoff, to record his second live album. Today Daniel Zamir is the director and founder of the Mizmor Music School. It is the first academy on Israeli soil since 2000, with its main focus strictly towards Jewish music. Therefore one can be “primitively” immersed in the new works and give rise to a unique visual language. 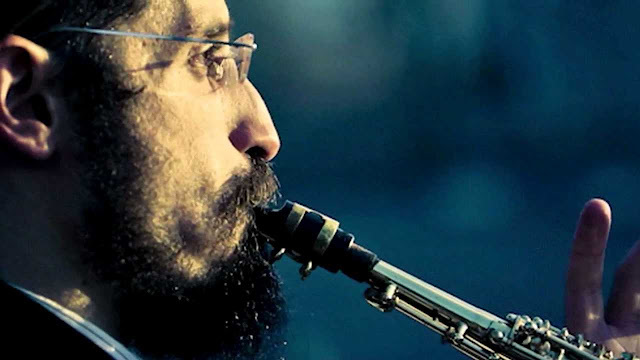 Zamir’s style plays on the singable folk elements and intertwines with orientalism, but never swivels into pure Jazz and is even lesser so on the natural Klezmer terrain. From this excitement the ensemble draws the nuanced coloration of the pieces – as can be shown in just a few examples: In the rhythmic, retroserrate, Uptempo-intro “36” emerges a fluent dialogue between alto sax and piano, an overflowing of solos, that towards the end drift into the open. All the while a persistent ostinato survives all adventurous rhythm changes. “4” delves heartily into the American tradition of Bebop, while in “11” the quartet winks with a downright exuberant breath towards Reggae. In “2” Zamir furthermore proves with an equally melancholy as airy melody, that he also harbors a soulful voice. Daniel Zamir and his quartet are bringing, with their new work, Middle Eastern playfulness and wily virtuosity under one roof. 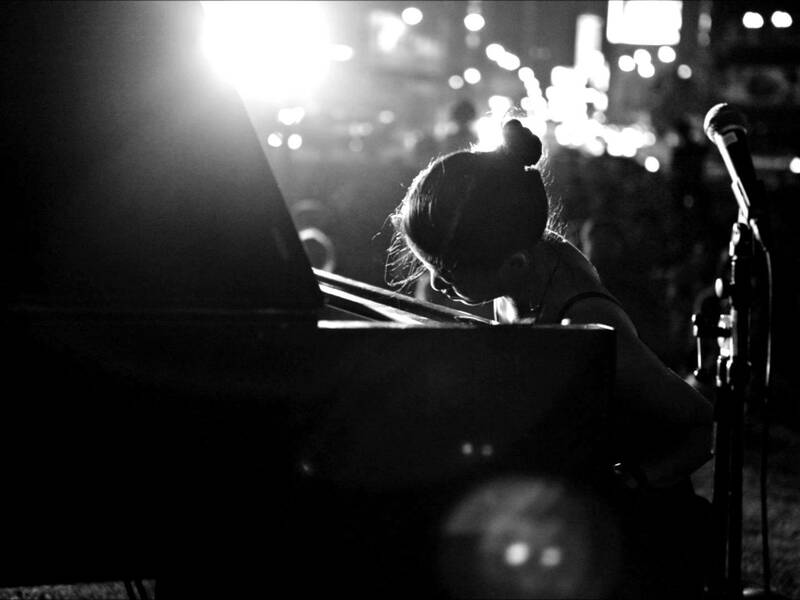 They are proving, once more, that one should not underestimate Israel as a land of Jazz. 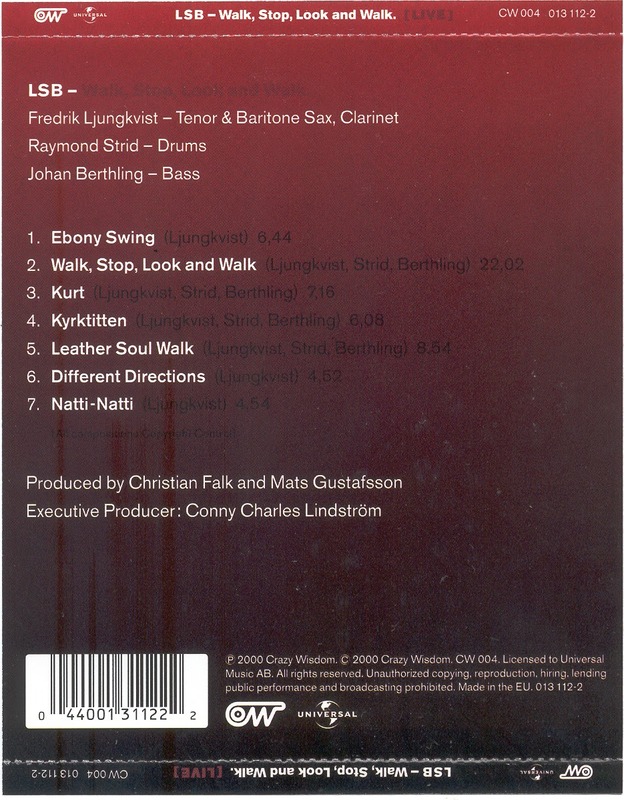 Originally formed in the late 1990s and composed of Fredrik Ljungkvist (saxophone and clarinet), Johan Berthling (bass) and Raymond Strid (drums), LSB is one of the longest lasting and most creative Swedish jazz bands. 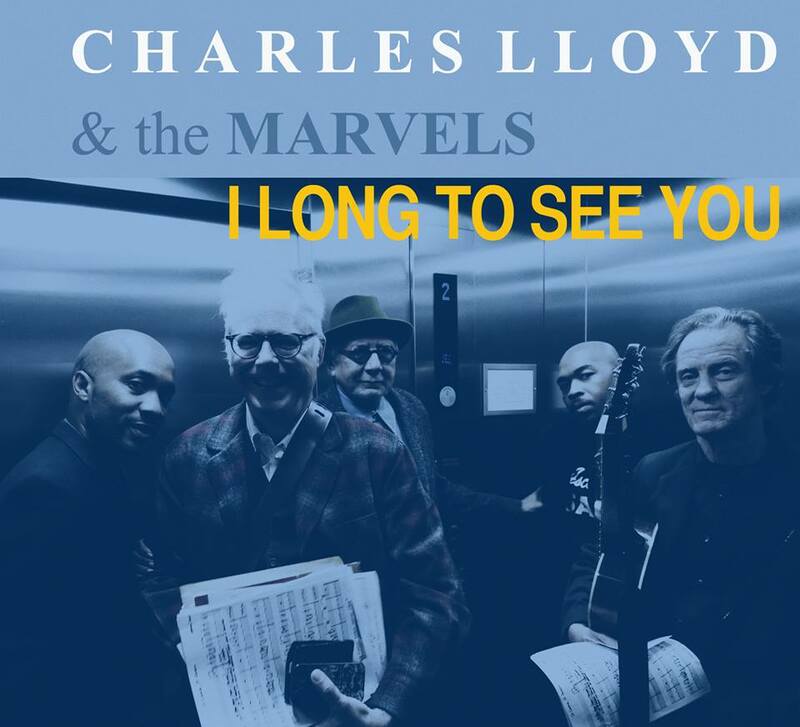 The third album of this much sought-after super group is set for release in 2015, promising more of their highly pleasing formula: melodic and swinging free jazz, full of intensity, excess, virtuoso musicianship and a huge dose of irreverence. This is not a nostalgic form of music; instead, it is contemporary and open to other influences, markedly European and always innovative.